What makes us different? 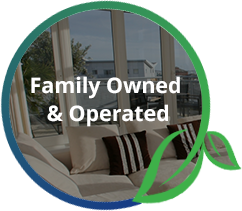 Go-Green Windows & Doors Ltd. is a family-owned and operated business, that pays attention to the details and we treat each job as if we’re upgrading our own home. 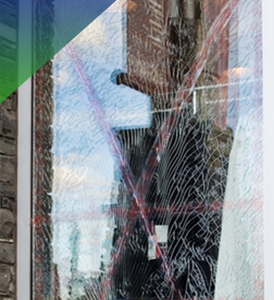 We offer a full range of window repair and replacement solutions and have been in the “window business” making our customers happy for over 20 years. 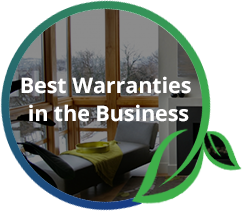 Whether you need to repair or replace your windows, we offer a full range of products and services at great competitive prices with the best warranties. As members of the BBB with an A+ rating, our technicians will visit your home and take the time to understand your needs. 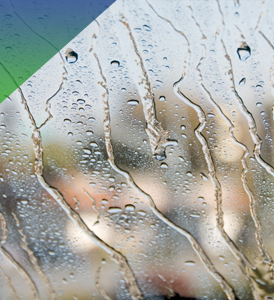 If your window is foggy we can simply repair it in place, if it’s cracked or unrepairable, we can simply replace the sealed unit fast and cost-effectively. 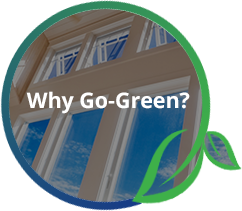 If you want to upgrade or need new and energy-efficient windows, we offer a wide variety of window styles and options at affordable prices. We also offer a wide variety of new door styles! Discover the Go-Green difference! 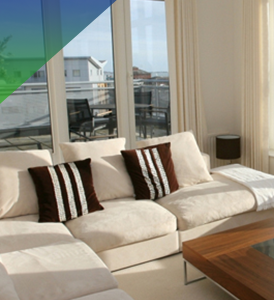 Contact us today for a free, no-obligation in-home consultation. Please be advised that I am most satisfied with Fog-Out Window Solutions and their service-work to remedy 4 ‘foggy’ thermo-pane windows (2 large and 2 small) in my two 20 year-old Bay windows. The Bay window seals are age-compromised and have allowed moisture to ‘bloom’ between the panes – thus, creating the foggy & smeared window-glass look & presentation that became intolerable to view this year. In a matter of half an hour, the windows were treated from the exterior of my home – with no intrusion to the interior of my home. Within days and approximately 4 weeks from completing the ‘Fog-out’ process, the windows are presently crystal clear again and the wonderful view to my backyard returned to me! Also, the cost of this procedure was considerably less expensive than a total glass-pane replacement… and as a senior on fixed income, this is bonus. I would therefor recommend the Fog-out procedure for ‘foggy’ windows before total window replacement. I was informed that unless I was completely happy with the Fog-out end-result that my money for service to date could be credited to New Window replacement! To me – this is business integrity, honest client dealing and standing behind products and service. The fog-out technician was wonderful and fully answered all of my questions and concerns. Again, I am most pleased and amazed with my new, fog-less windows – thanks to Fog-Out Window Solutions. 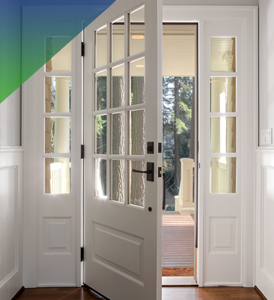 Windows, Doors, Windows And Doors, Exterior Doors, Exterior Doors, Windows Calgary, Doors Calgary, Windows And Doors Calgary, Exterior Doors Calgary, Exterior Doors Calgary, Windows Airdrie, Doors Airdrie, Windows And Doors Airdrie, Exterior Doors Airdrie, Exterior Doors Airdrie, Windows Cochrane, Doors Cochrane, Windows And Doors Cochrane, Exterior Doors Cochrane, Exterior Doors Cochrane, Windows Strathmore, Doors Strathmore, Windows And Doors Strathmore, Exterior Doors Strathmore, Exterior Doors Strathmore, Windows Madden, Doors Madden, Windows And Doors Madden, Exterior Doors Madden, Exterior Doors Madden, Windows Delacour, Doors Delacour, Windows And Doors Delacour, Exterior Doors Delacour, Exterior Doors Delacour, Windows Chestermere, Doors Chestermere, Windows And Doors Chestermere, Exterior Doors Chestermere, Exterior Doors Chestermere, Windows Kathyrn, Doors Kathyrn, Windows And Doors Kathyrn, Exterior Doors Kathyrn, Exterior Doors Kathyrn, Windows Keoma, Doors Keoma, Windows And Doors Keoma, Exterior Doors Keoma, Exterior Doors Keoma, Windows Balzac, Doors Balzac, Windows And Doors Balzac, Exterior Doors Balzac, Exterior Doors Balzac, Windows Langdon, Doors Langdon, Windows And Doors Langdon, Exterior Doors Langdon, Exterior Doors Langdon, Windows Tsuu T Ina, Doors Tsuu T Ina, Windows And Doors Tsuu T Ina, Exterior Doors Tsuu T Ina, Exterior Doors Tsuu T Ina, Windows Lyalta, Doors Lyalta, Windows And Doors Lyalta, Exterior Doors Lyalta, Exterior Doors Lyalta, Windows De Winton, Doors De Winton, Windows And Doors De Winton, Exterior Doors De Winton, Exterior Doors De Winton, Windows Dalemead, Doors Dalemead, Windows And Doors Dalemead, Exterior Doors Dalemead, Exterior Doors Dalemead, Windows Irricana, Doors Irricana, Windows And Doors Irricana, Exterior Doors Irricana, Exterior Doors Irricana, Windows Priddis, Doors Priddis, Windows And Doors Priddis, Exterior Doors Priddis, Exterior Doors Priddis, Windows Crossfield, Doors Crossfield, Windows And Doors Crossfield, Exterior Doors Crossfield, Exterior Doors Crossfield, Windows Carseland, Doors Carseland, Windows And Doors Carseland, Exterior Doors Carseland, Exterior Doors Carseland, Windows Beiseker, Doors Beiseker, Windows And Doors Beiseker, Exterior Doors Beiseker, Exterior Doors Beiseker, Windows Millarville, Doors Millarville, Windows And Doors Millarville, Exterior Doors Millarville, Exterior Doors Millarville, Windows Redwood Meadows, Doors Redwood Meadows, Windows And Doors Redwood Meadows, Exterior Doors Redwood Meadows, Exterior Doors Redwood Meadows, Windows Aldersyde, Doors Aldersyde, Windows And Doors Aldersyde, Exterior Doors Aldersyde, Exterior Doors Aldersyde, Windows Bragg Creek, Doors Bragg Creek, Windows And Doors Bragg Creek, Exterior Doors Bragg Creek, Exterior Doors Bragg Creek, Windows And Doors Calgary, Windows Calgary, Window Replacement Calgary, Doors Calgary, Custom Windows Calgary, Windows Companies Calgary, Window Installation Calgary, Exterior Doors Calgary, Window Repair Calgary, Doors Replacement Calgary, Exterior French Doors, Interior Doors, Patio Doors, Window Manufacturers Calgary, Sliding Patio Doors, Basement Windows, Bifold Doors, French Patio Doors, Window Screen Replacement, Front Doors, Folding Patio Doors, Storm Door, Double Entry Doors, Entry Doors, Pocket Door, Windows Doors Calgary, Sliding Glass Doors, Vinyl Replacement Windows, Front Entry Doors, Doors For Sale, Windows For Sale, Folding Doors, Fiberglass Entry Doors, Replacement Windows, Exterior Doors, Outside Doors, Windows And Doors Installation Calgary, French Doors, Storm Windows, Window Prices, Vinyl Windows, Awning Windows, Fiberglass Doors, Front Doors Calgary, Windows And Doors Company Calgary, Windows Doors Installation Calgary, Wooden Door, Custom Doors, Garden Doors, Security Doors, Glassdoor, Storm Doors Calgary, Steel Doors, Wooden Windows, Home Windows, Windows Doors Company Calgary, House Windows, Pella Patio Doors, Double Door, Entrance Doors, Doors Windows Calgary, Sliding Doors, Entry Doors Calgary, Window Suppliers Calgary, Lowes Windows, Door Installation Calgary, Modern Doors, Casement Windows, Aluminium Windows, Windows And Doors, Patio Doors Calgary, Windows Doors, Window Glass Replacement, Double Hung Window, Replacing Windows, Energy Star Windows, Energy Efficient Windows, Aluminium Windows And Doors, Window Replacement Cost, Window Companies, Fiberglass Windows, Custom Windows, Window Manufacturers, Bay Window, French Window, Windows Installer, Vinyl Windows Replacement Calgary, New Windows, Door Manufacturers, Door Installation, Anderson Windows And Doors, Steel Windows And Doors, Sliding Doors Calgary, Doors, Patio Door Replacement, Hinged Patio Doors, Door Manufacturers Calgary, Superior Windows Calgary, Custom Doors Calgary, European Style Windows Calgary, Best Windows, Interior Doors Calgary, Basement Windows Calgary, Marvin Windows And Doors, Discount Windows And Doors, New Windows Calgary, French Doors Calgary, Windows Doors And More, Exterior Patio Doors, Window Glass Replacement Calgary, Calgary Windows And Doors Installation, Large Patio Doors, Window Replacement Calgary Cost, Screen Doors Calgary, Windows Edmonton, Windows Calgary Renovations, Home Window Repair Calgary, Door Window Replacement, Windows For Sale Calgary, Window Designs Calgary, Custom Patio Doors, Windows And Doors Prices, Wooden Doors And Windows, Entrance Doors Calgary, Windows Store Calgary, All Weather Windows, Home Windows Calgary, Window Cladding Calgary, Aluminium Patio Doors, Windows And Doors Ottawa, Patio Doors Canada, Sliding Door Company Calgary, Vinyl Windows Calgary, Window Prices Calgary, Windows Canada, Window And Door Replacement, New Windows And Doors, Vinyl Patio Doors, Calgary Door Companies, Windows Calgary Ab, Door Suppliers Calgary, Custom Windows And Doors, Window And Door Company, Canada Windows And Doors, Sliding Closet Doors Canada, Glassdoor Calgary, Alberta Windows And Doors Calgary, Custom Interior Doors Calgary, Sliding Patio Doors Calgary, Residential Window Repair Calgary, Basement Window Installation Calgary, Cheap Windows Calgary, Windows, Wooden Windows Calgary, Window Glass Calgary, Sunview Patio Doors, Calgary Exterior Doors Sale, Calgary Custom Windows, All Weather Windows And Doors.